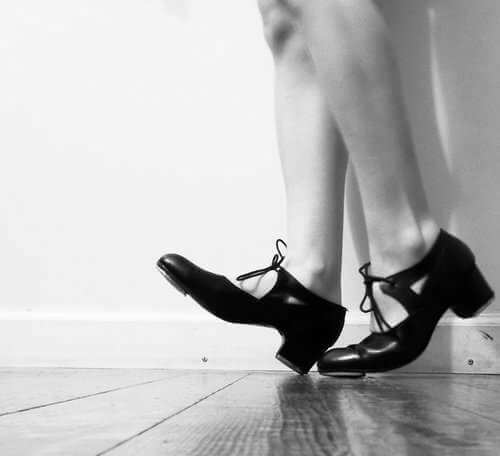 Learn how to tap dance easily and quickly! Do you want to be able to tap dance to any song with ease? Learning to tap dance can take a long time if you don’t have the right instruction. While there are many free resources out there, most of the online tutorials are not structured to teach people how to tap dance from the very beginning. Most of the time the lessons are thrown together in a random manner without any type of organization. That is why we created the tap dance beginner course. It is structured with the BEGINNER in mind and provides everything you need to master tap dancing. You will learn each tap step individually. First your instructor shows what the move looks like and then he breaks it down to make sure you can get it. There are lots of technique tips given for each move to help you develop coordination, balance and rhythm. The best part is that it is super easy to follow along and you can learn at your own pace from your home at anytime. – Feel confident tap dancing anywhere. – Dance to any song. – Impress your friends with cool tap moves. – Tone your body while tap dancing. – Improve your posture and balance. – Learn Tap moves at the privacy of your home. – Learn at your own pace step by step. 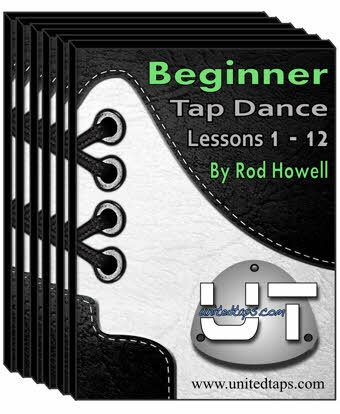 You will learn 37 different tap steps, and put them together into 14 different combinations. You’ll even get practice with ear training and dynamics. Tap dancing makes a great exercise. Watch how your legs, abs and arms get toned after just a few sessions of the workout video. Get tap dance music too! This is the same music that plays in all of the lessons. You will be able to practice with them anywhere you wish. Learn how to combine beginner tap moves together in a combination that will challenge you with foot coordination, rhythm, arms and styling. 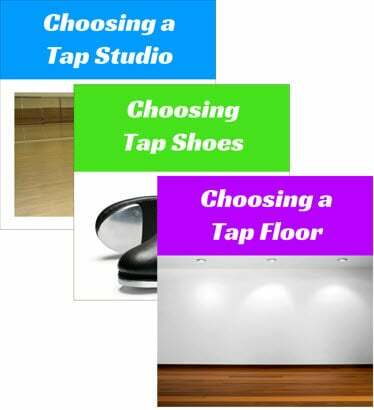 Guide #1: Choosing the best Tap studio for your personal situation – What to look for on the studio’s website to make sure it’s right for you. Guide #2: How to find the right Tap shoes for you – Find out the advantages and disadvantages of different types of shoes. Guide #3: How to find the best dance floor to practice your Tap dancing – Get the scoop on the advantages and disadvantages of different types of dance floors. All material is taught by professional tap teacher and choreographer Rod Howell. 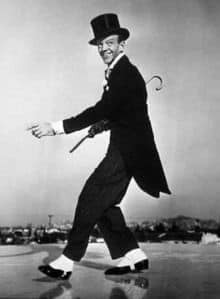 Rod makes tap dancing easy and fun. In my town, tap classes for adult beginners are rare. Fortunately, I scoured the Internet and discovered the your website. 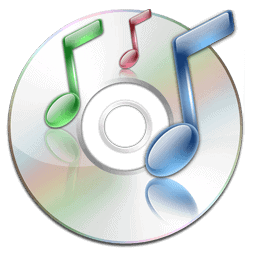 After looking through some of the sample tap step instructions and discovering how easy, affordable and convenient learning these steps could be in my own home, I purchased the entire download. I ordered a pair of tap shoes, purchased a 4×4 piece of plywood at a local hardware store, and voila! I am now learning to tap at my own speed and convenience. It is fun, a great alternative approach/addition to a fitness routine, and the sound of taps on wood (even if you are a beginner) is spectacular – it gives me a sense of delight and accomplishment! The lessons were great! They were really fun, great exercise, and I will definitely be continuing to learn from you. Thanks for putting them up online! Have a great day! I am very pleased with your course and your teaching methods. I have never tapped before or had any dance instruction for that matter. Dancing has always been a passion and tap something I always wanted to learn. I am on lesson 6 of the beginner series and I do the Tap workout video. I love it and I look forward to the intermediate series when it is available. I appreciate your instruction style, its easy to follow, comprehend and it’s fun! I’ve been tapping for 2 yrs. I started out taking tap classes at our local community college here in Sacramento, CA. My goal here in my early middle aged years and beyond is to seek out tap festivals to attend, (I’m an airline employee willing to travel), and join a tap group to perform with and have fun! I purchased your Course and dictionary and I absolutely love it. It’s such a perfect idea because it’s concise, to the point, and very well organized. If I want to see a step I can just got right to it and being a teacher myself I appreciate your step by step teaching method. Everything worked great, it downloaded easily and has worked fine. Thanks for your products and best of luck in the future. You can watch all the tap lessons online from anywhere, at anytime. Even at night when everyone is sleeping… Just log in and watch. Don’t have a fast internet connection? No worries, you can download the tap lessons to your PC, ipod or ipad. Start learning in 30 Seconds! Get instant access right away. Right after payment you will be sent a username and password to your email. For any questions just email us at Help@learntodance.com.